Australian robotics adoption: where does it stand and why does it matter? It’s not a perfect measure, but unit sales of industrial robots give some idea of a country’s industrial might. The names of the top five buyers in 2017 – China, Japan, South Korea, the US and Germany – shouldn’t be too surprising. Figures from the International Federation of Robotics show South Korea leading the world in density of robots: 631 per 10,000 employees. The global average is 74 per 10,000. Australia’s figure? 83 per 10,000. One factor in this is the small electronics and automotive sectors here, which are two major drivers of industrial robot investment. The high number of SME and micro-businesses in Australian manufacturing is another. Such companies are not always able to afford a dedicated automation engineer, or to easily justify an investment in a new robot. A local lack of automation is arguably an issue. As last year’s Robotics Roadmap for Australia explains, industrial robotics numbers flat-lined in recent years at about 7,500 installed units, growing only a per cent between the 2011 and 2016 period, while the rest of the world’s collection grew 56 per cent. The same report argues that lifting businesses’ automation levels will be important if productivity growth of 2.5 per cent, and thus our standard of living, is to be maintained. Labour productivity gains average less than 2 per cent a year, with something needed to make up the shortfall. There’s about 1,100 companies offering robotics-type activities in Australia. 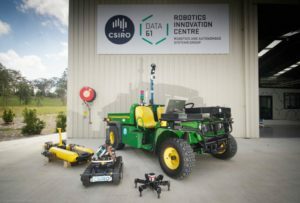 Something currently lacking in the local ecosystem, says Fred Pauling, Group Leader at CSIRO Data 61’s Robotics and Autonomous Systems Group, is companies able to install and maintain equipment. “We’ve seen that that’s kind of forced a lot of companies to source their equipment from overseas, and that leads to delays in servicing, and increased costs, and so on,” he tells @AuManufacturing, adding that there’s finally some good news around investment and adoption. The RIC, at CSIRO’s Queensland Centre for Advanced Technologies in Pullenvale, was launched last week. It is alongside a flight test area for UAVs, and includes a testing pool for floating autonomous systems, a selection of field and manipulator robots, and boasts the hemisphere’s largest motion capture system. “It provides a really good space to develop technologies where robots and humans operate side by side, which I think is becoming increasingly relevant in manufacturing,” explains Pauling. QCAT is also home to Emesent, which recently raised $3.5 million and is commercialising inspection and SLAM (simultaneous localisation and mapping technology) technology developed at CSIRO. 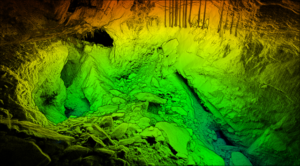 The company is partnered with the Data61 team in the prestigious DARPA Subterranean Challenge, where international teams compete in a series of underground challenges based on first-responder or combat scenarios over three years. A further challenge for Australia is to produce more startups like Emesent. There are promising firms such as Swarmfarm Robotics and Fastbrick Robotics with global relevance, but more are needed. Pauling believes mining automation solutions, an area where Australia has arguably led the world, are one place where a thriving export industry could be grown. Remote operation of equipment in the Pilbara from Rio Tinto’s Operation Centre in Perth is an example of what could be done, and there’s an opportunity to develop technology relevant for industries ranging from resources to space exploration. “A big part of that is robotics, as well as communications and networks, and human-machine interfaces…That’s something that Australia’s very good at,” he offers.